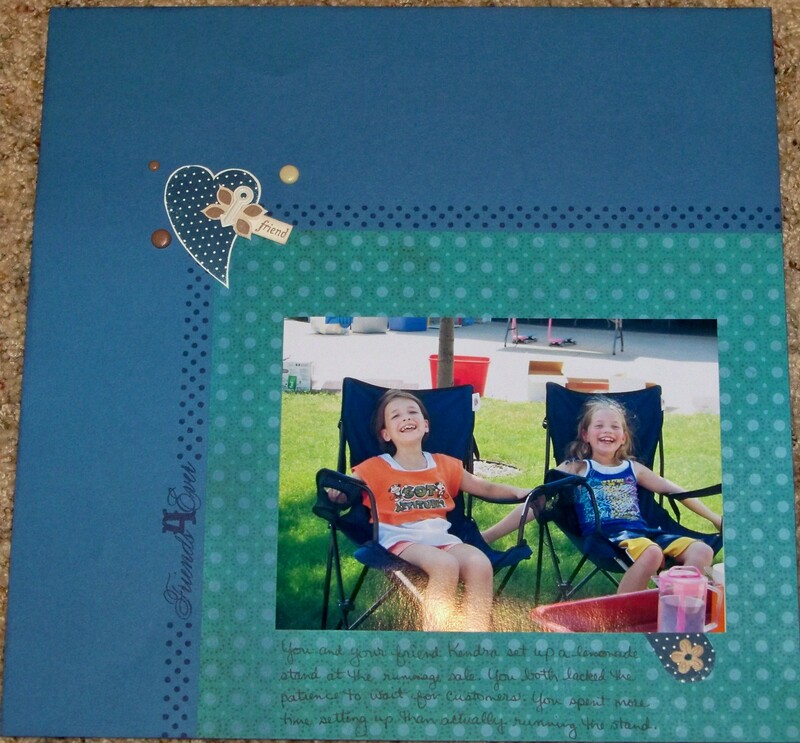 This month’s blog hop focuses on different scrapbooking techniques. There are so many ideas out there! Today, I will be showing you ways to use your patterned paper to create your own custom embellishments. The hop is a circle so if you are starting here, just continue until you make your way back. If you are already hopping along you should have come from Nikka’s blog. You can see a list of all the hop participants in my previous post. Supplies used are all CTMH: Boom-Di-Ada Paper Pack, antique brads, Spot On Backgrounds stamp set, and Autumn Terracotta ink. I used a sketch from My Little Sketch Book. The paper I used is retired but you can use any patterned paper, there are many current ones that are similar, or you probably have some in your stash! 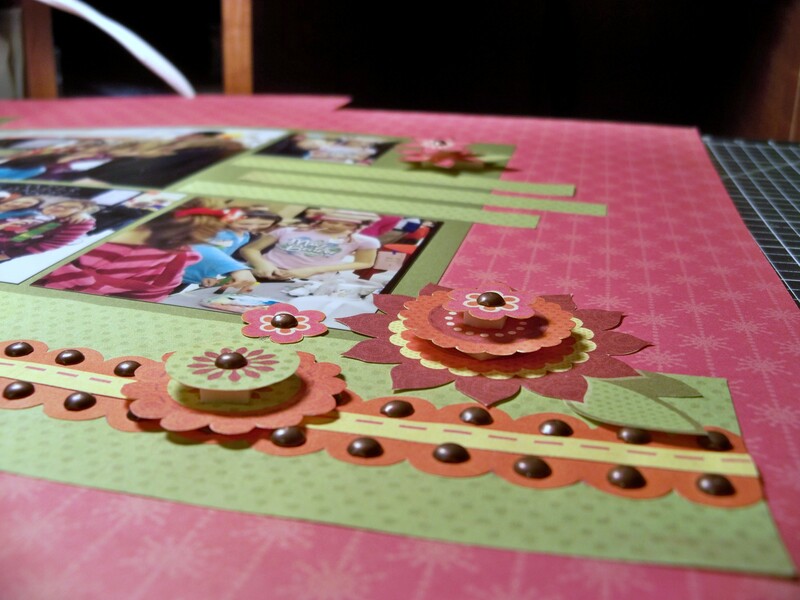 The “ribbon” border along the bottom is made by cutting strips of paper and adding brads for a 3D look. The flowers are also cut from patterned paper and layered using 3D foam tape and brads for a finished embellished look. Journaling will go on the strips on the right page. 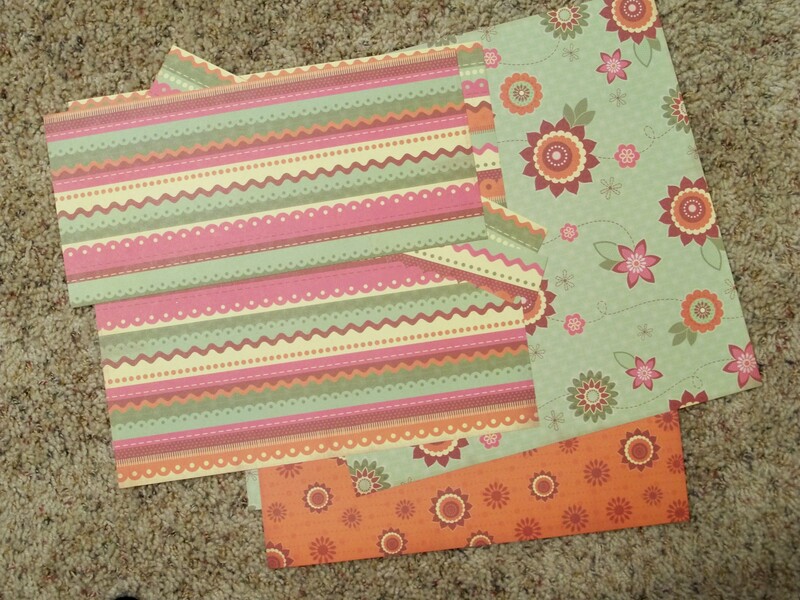 Below is the paper that I cut up and a closeup of the flowers. Tracy is your next stop! Wendy Kessler <— You are here. Supplies used: Fancy Pants Wintertime paper pack (paper, stickers, journal box), and Deck the Halls Trims by Making Memories. This winter layout was from our Christmas trip to Belle Plaine MN in 2009. It was a snowy Christmas and the question wasn’t IF you would get snowed in but WHERE you wanted to get snowed in at. We chose to make the trip to my sister’s and we had fun playing games over the holiday. The guys worked together to shovel and the girls made snowmen. The Wintertime pack by Fancy Pants was perfect for these pics. I purchase it from Crop Chocolate. The scarf on the snowman sticker stuck out farther than I wanted so I snipped it off and stuck it down at a different angle to fit my page better. I matted the snowflake sticker border on red cardstock so it would stand out more. I added fiber to the center of the snowflakes, the hat, and hot chocolate mug by tying it in a knot and adhering with a glue dot. This added the perfect touch of sparkle to my page! 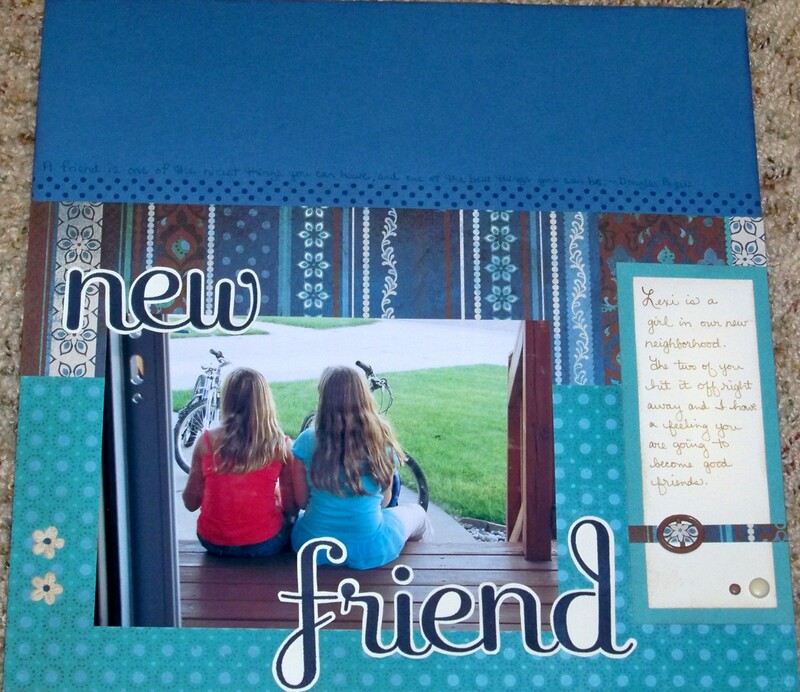 These pages are from the Magnifique Workshop Kit. It is designed to be a 2-page layout but I divided them to create two 1-page layouts. 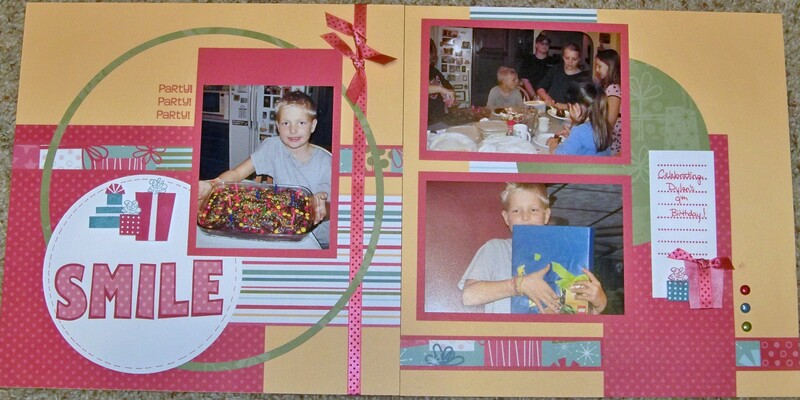 This layout is from the Close to My Heart retired Jingle Workshop Kit.